Shop Hosa HMP Pro Stereo Breakout REAN 3.5 mm TRS to Dual 1/4 In TS from AMS with 0% Interest Payment Plans and Free Shipping. 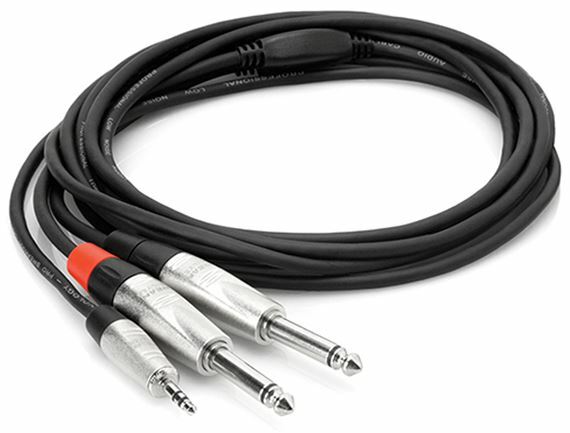 I brought this cord for DJing and it works great connecting my phone to my mixer. It was a great buy!!! Color me impressed the Hosa breakout cables are amazing for such a low price. The build quality of theses cables are top notch straight up professional grade material. Great sound connection with this from my board to computer! This Hosea cable is like none other. Exceptional quality @ an affordable price! Get you one today you won’t be disappointed! I've used patch bays. adapters and anything else that was available but this is it. No worries just signal.